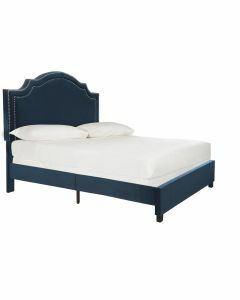 Embrace the art of sleep with the grace and grandeur of this contemporary bed. 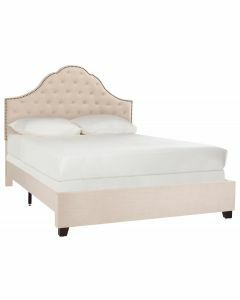 Finely crafted with plush navy velvet upholstery from top to bottom, its deluxe tufted detail and polished nickel nailheads ensure a soothing, sophisticated bedroom. Measures 88.8" x 64.5" x 58.25". Click on images for greater detail.